Here’s a bit of news for you! A few months back Joe Rich had an accident and has been making a steady recovery. Unfortunately the hospital bills and everything have been piling on! So, EMPIRE have a Joe Rich Benefit T-Shirt they’re currently taking Pre-Orders for! 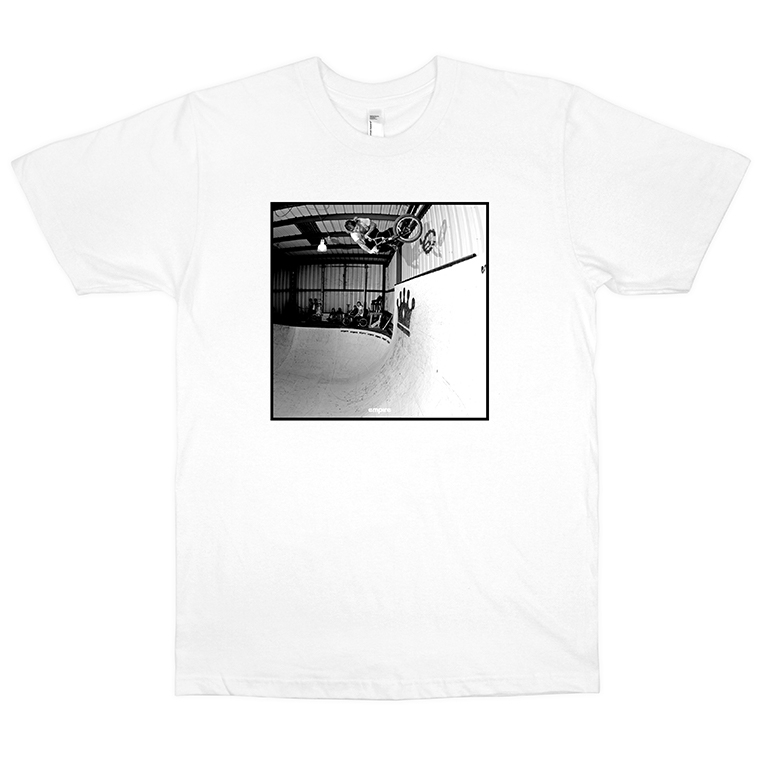 $20 for a badass shirt with a photo of Joe crushing it by Devon Hutchins? Not a bad deal! Plus, full proceeds go to help Joe out! Get more details below, or hit up the Empire website and pick one up! Cyclops stem from Terrible One, you might have some questions on how to get the stem onproperly. Here’s how you install a Terrible One Cyclops stem on your bike. Due to its unique design, Joe Rich decided to put together this video showing you in detail all the steps involved in installing the Cyclops stem. It’s a little trickier than most stems, but because of the wedges, you need to take a few small steps to ensure it’s on right. Check out the video below. You can learn more about the Cyclops stem right here. Terrible One coming through with a dialed new Flipbook giving us a look at their teams setups from bikes to skateboards, plus a few riding photos for good measure! Hit the flipbook above to check out Joe Rich, Ruben Alcantara, Garrett Byrnes, Joey Calderone, Mike Molineri, Shawn “Elf” Walters and Joseph Frans‘ current rigs! You know this is one you’ll want to take in, so get to it! The Cyclops stem from Terrible One has arrived! Over the years there have been countless products released, but anyone that has been riding for a long time knows not every great idea makes its way into production. Most of those ideas and designs are forgotten, but every now and then there are these parts that almost become this most sought after thing that NEEDS to be released. There has been a lot of talk about “Mid School” lately, and it’s safe to say any and every Mid School guy will tell you that the Cyclops Stem has almost become this unicorn of a product that people really wished it would eventually come out, but kind of lost hope. Over the years there had been rumors that it was done, that it would be available, but then it would disappear again and those hopes and dreams were once again shattered. Well, today we’re excited to tell you that the wait is over and the stem is now available in a very limited edition first run. We got ahold of Joe Rich to get the full scoop on the now available Cyclops stem and what it took to get to this point… This still doesn’t seem real. Alright, Joe! Yesterday you made an announcement that probably caught some people off guard. How long have you been waiting to release the Cyclops stem now? Over the years the design has changed a bit, right? What were some of those changes? Care to take us through the history a bit? John Povah originally came to me with the concept for how the stem worked. At the time it was a rough sketch and an idea. I talked to Phil Wasson from SuperRat Machine about it, as he was making our American Flyer sprockets at the time. He was interested in taking a crack at it. We got the first samples fairly quick. They worked pretty good, but they had some flaws. The wedges were way too small to hold the steer tube properly. And it was our first try at what angle that the wedges work on. So I redesigned the shape of the wedges with an idea I felt could work better. From that point Povah, Phil and I all worked together with refining all parts of the stem. Slowly things started taking shape, and it resembled more and more how they are now. With each sample that we had done, they progressed both in function and the visual appeal. The wedge size, wedge angle, material grade, and the tolerance of them, took the most fine tuning. We did several samples over our time with SuperRat. And of course as luck would have it, when things took a nose dive. We had a complete version of the stem that we were finally happy with, and were ready to go with, and SuperRat basically went belly up. It just vanished seemingly into thin air. I know you worked with a bunch of different places to try and make this stem happen. How many different people did you work with prior to finally finding the winner? Phil at Super Rat Machine, and Ken Spaulding with Zodiac Eng. were the 2 main ones. After things hit a dead end with Phil, I had a working sample, but that was it. No technical drawings for anyone to go off of. My friend Jimmy Rathbun gave us the first glimmer of light, as he managed to reverse engineer a drawing from the one good sample we had. I met Ken Spaulding and his partner John at Interbike in 2010, they came to our T-1 booth one day during the show. We talked for a bit and eventually got on the subject of the stem, they were very interested in taking the Cyclops project on. We worked for a good bit on dialing these in with them. The drawings that Jim had done for us were fine tuned even more as we started moving forwards with samples . We had a few runs of samples done and once again. We got to the point where we were placing the order, when Ken and his partner split. Ken had been doing all of the drawings and technical info, and his partner was working at the shop that actually made the samples. There are too many details to go into, but after working with Ken for a good number of years trying to make a run of these to happen, we hit a dead end as well. After that I was feeling very deflated. I talked to a lot of other machine shops about them, and either they were too expensive at the time, or just couldn’t make the stem. . . That was until Jimmy Wood, and Iron Gate Machine saved us ! Could you have done this in Taiwan or China or was it strictly an American made project? Stems are the one thing that I’ve always felt a difference when tightening down bolts on a American made stem. I don’t really know how to explain it, but when you tighten the bolts, they just have this really good feel to them. Strange that tightening a bolt can feel different, but it does. Of course other places could do them, and I’m sure they’d be good, but some feelings you just can’t shake, and that’s why I never could quite commit to going that route. Plus, anytime you can work with a manufacturer, that has a rider with the skills to be in charge of a project, is such a good feeling for me. I really feel like there is that little extra bit of universal magic that goes into it when those circumstances are present. How did you come across the company that made the Cyclops stems that are going to be available soon? I thought things were pretty much over with the possibility of having them made here in the states. I did an interview with you earlier this year, back when the ramp was coming down and you asked me a question about the stems then. A rider from Washington, Jimmy Wood, read that article and contacted me. He worked for a very dialed machine shop named Iron Gate Machine, and was certain they could help breathe some life back into these. So thank you so much Kurt for doing that interview with me. Without that, this may not have ever happened ! In a very short amount of time they had a working sample to me. The stem body was perfect straight away. The wedges took some fine tuning and a few more samples until we reached the point we are at now. This all happened in a few months time so its very surreal to me after the amount of time, and ups and downs these have been through. I can’t thank Jimmy and Iron Gate enough. Every time I talk to him I try and express how much this has meant to me. They have been an absolute pleasure to work with. They care about every last detail the same way I do. So stoked. After all that time, all I wanted to do was at least have a few done that worked right and were available. If no more ever happened besides that, I would at least have had some good closure with this. Did you have to make any changes to the previous design to make this one happen? Just more fine tuning on the tolerances on the wedges. Jimmy was really really helpful with all of this. They are pretty exact and are meant to compress a certain amount. Its very finicky. I guess the only problems that really can come up with this would come from the fact that we don’t make our own forks and can’t quality control the diameter of for steer tubes. And one thing I learned during this whole process, is that all fork steer tubes are not the same. They vary in steer tube diameter quite a bit. And that makes developing a part, and how it works, to an exact spec is quite tricky. Can you give us the full specs and details on the Cyclops stem? Colors available – Black / Silver for life! How many of the stems will you have available? Do you plan on doing another batch if they sell quick or is this a one and done kind of thing? I got 50 stems done this time. It was a number that I felt comfortable with. I have NO idea what people will think after all these years. At one time, I know there was a lot of interest, but that was a long time ago, and a lot has changed since then. There are way more options out there, and there is going to be a certain type of person that gravitates towards picking one of these up. There are a few steps you have to take to install them as well. But, these are the best versions of this stem in the 9 years we’v been working on them. The last part of that sentence sounds absolutely ridiculous ! But I’m very proud of these to say the least. How can people buy one of these stems and what is the price? Will they be available through shops or mail-orders like Empire, or are you doing a direct sale kind of thing similar to the SFA frame? The Cyclops stem has sold out already. There are more that will be ordered. We suggest you give Terrible One an email or call if you want to order one. Now that you finally have released a stem that has almost “cursed” you for nearly a decade, do you feel the pressure is finally off your shoulders? There was never any pressure I felt from it, I just love these stems and was frustrated that one thing after another seemed to take a turn for the worse at the exact step I thought they were going to happen. So many times I thought they were really happening, and I was let down time and time again. It was pretty tough. I’m very emotionally invested in everything we do. Its not just another product. Turning what were just ideas, into realities, is one of the best feelings. I love this stuff. What’s next for you? Any new Terrible One products in the works you can tell us about? What about trips, filming projects and more? Yep, there are a few things in the works, but ever since the experience we’ve had with the stem, I’m very hesitant to say anything, until things are more solidified and happening. Ha ha. I’m sure you can understand. That about wraps things up! Anything else you want to say? Thanks for taking the time to read this ! Below you can find a How To video Joe put together on properly installing the stem. 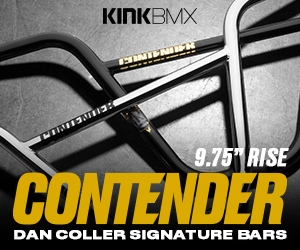 Due to the design, there is a little more to how you install this one than a traditional BMX stem. Take a peek! Nate Wessel dropping a banger that’s only been waiting about 13 years to see the light of day.. Or the internet. Check out some amazing footage Nate put together from a trip to Australia he took with the Terrible One crew to go along with a song from Sense Field that Nate wanted to pay tribute to their recently deceased singer. Hit play to take in some gold from Nate, Ruben Alcantara, Joe Rich and Garrett Byrnes that does not disappoint. Here’s a short but sweet BMX video that Fox dropped online from the Womens Jam weekend that hit the Walnut Creek Pumptrack for a session. Nina Buitrago gives us a little insight while we get a look at some of the riding footage. “The first ever Fox Women’s BMX Jam kicked off at the Walnut Creek Pumptrack here in Austin, TX bringing over 40 girls along with the majority of the Austin BMX scene present to show their support. Although we are lucky to have one of the largest girls BMX scenes here in Austin, it’s not everyday that we all get to come together for a session, and plan ahead enough for girls from all over to join us! Head over to foxhead.com/womens for full story and photos.